There were times when people are more likely to go to their workplaces for their fixed round the year 9 to 5 job, leaving all the things at back toe. While with the time, the generation of today not only intended to work but also working towards regular work out. 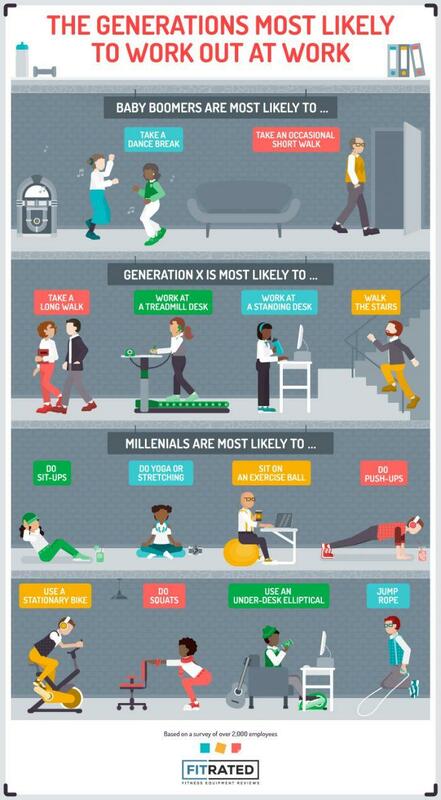 The infographic via FitRated talks about the generation of today who are most likely to work out at work.